I knew I wanted to do a ladybug, and this one was the only one in EQ. So I started from scratch, well sort of…. Here’s what it would look like in a quilt. Cute as a bug!! Love the quilt design! I like it.. very very cute. Cute ladybug Bea and adorable quilt! Cute Cute. Love ladybugs. Thanks for sharing. Super cute lady bug. Great job. This is very interesting. Looks like fun. The ladybug is adorable. It would be so cute done with various background colors. 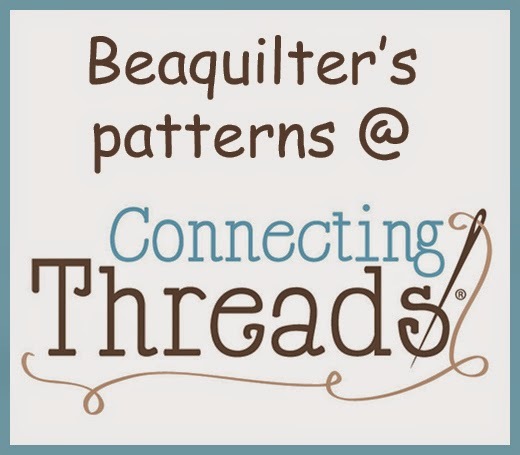 Love your quilt design... what is it about lady bugs that make them so cute! What a cute ladybug. She would look great in any quilt. I love lady bugs. Thanks for the cute pattern. Thanks for showing us how to do it. Your ladybug is adorable. Thanks for sharing and for the giveaway. Cute as a bug. My daughter and granddaughter both love ladybugs. I love the lady bug! Love your cute ladybug! 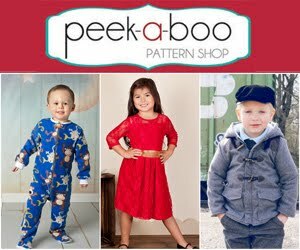 Thanks for the pattern and giveaway! I love that lady bug. 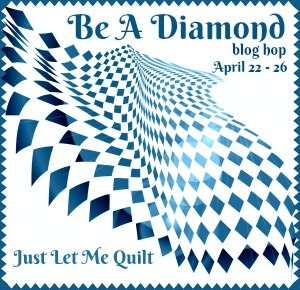 I think I will make it for a cute quilt label for the back of a quilt that I am making. Very cute idea for a baby quilt! Loving the hop, thanks for putting it together. As soon as I started reading your post, I knew I wanted to try drawing a ladybug in EQ! BUT, thanks to your generosity in sharing your pattern, I don't have to!! Now all I have to do it make it! 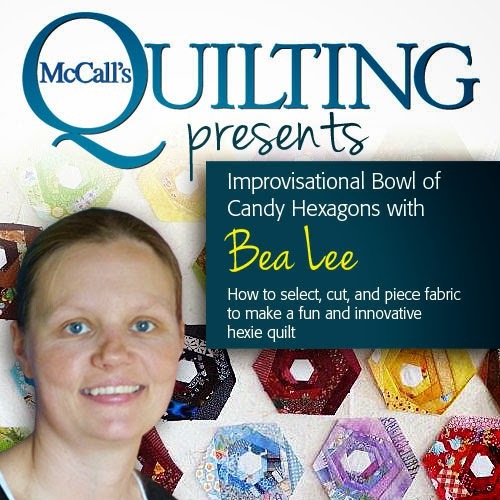 And thanks for a chance to win a copy of Quilting Designs 7! PERFECT! Thank you for the tutorial on how to draw. I tried and tried, but I understand how to do it now, your directions were great. Thank you sooooo much for time and patience with this hop. I truly learned so much and will now be using my program a lot more. I like your version of the ladybug much better. Thanks for showing how to do it. Oh, a sweet ladybug! Thank you for the design. I love ladybugs - thanks for sharing your pattern. Cute bug! It's amazing what EQ can do. 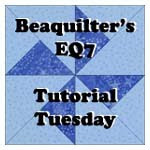 Have been enjoying your tutorial posts on using EQ. I use to have one of the most earliest versions of EQ but never got the hang of it. My computer skills have improved since then and would love to give it a go again. 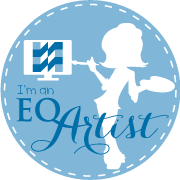 Thanks for a chance to win EQ7! Your lady bug is soooo cute! Oh, your lady bug is so cute. 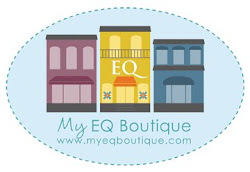 Thanks for sharing and all of the work you do to share the ins and outs of EQ7. I really appreciate the tutorials! Your Lady Bug is too cute! Love the eyes. Thanks for explaining how you set it up. Great info! With all these great tutorials, I feel like I might actually be able to do this. Thanks! 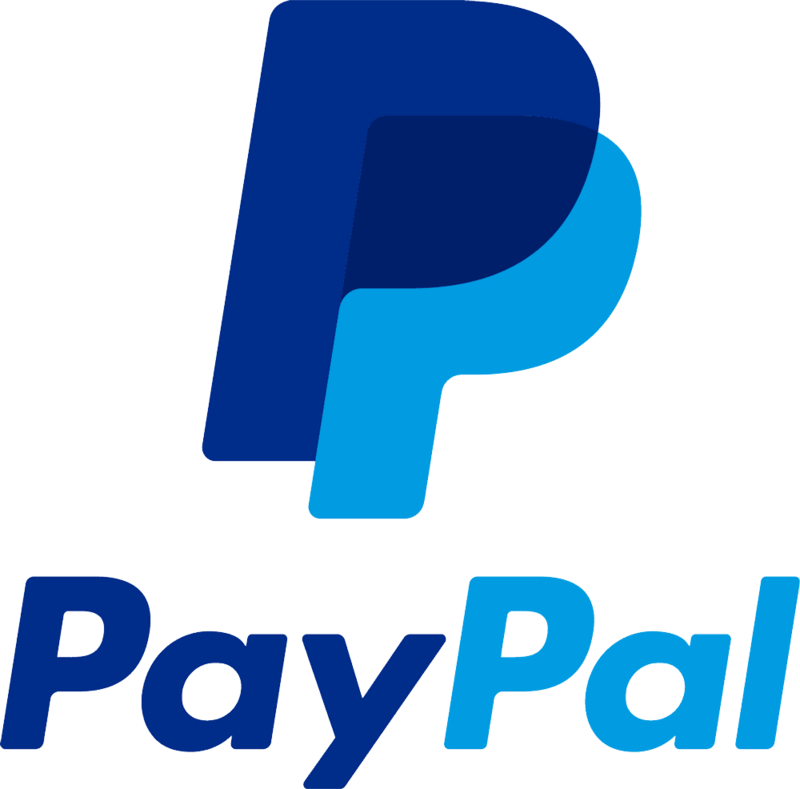 Thank you for sponsoring this Blog Hop giveaway. Lady Bugs are my favorite! Thanks for the tutorial! I so wanted to do this, had marked it on my calendar and everything, but I sub for 2 local school districts and missed the whole thing while subbing .. so of course, I need to get in on the giveaway! I love all the critters !! That is a really cute lady bug. I love the lady bug and I love the tutorials. Thanks. Great lady bug quilt. Just in time for spring! Your ladybug is sooo cute! One of my granddaughters is called Ladybug. I can see your design on so many things, a pillow, a bag, etc... Thank you for sharing! Thanks again. I'm going to be doing a ladybug quilt for my new grand daughter, thanks!! This is just too cute!! Another adorable design that I must save for future use!! I love it! Thank you very much for the great Tutorial! Have a nice day! That makes a gorgeous quilt! Thanks for showing us the whole thing! Very cute! Love the ladybug. 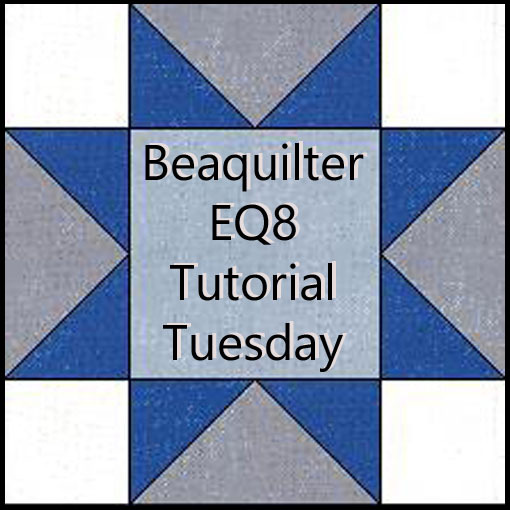 Thank you for sharing a quilt layout with the ladybug. I have the perfect idea for this sweet lady bug and my granddaughter. Thank you for sharing. Cute ladybug. Thanks for a great tutorial and giveaway! Lady bugs, such a useful bug in our lifetime. They just released 72,000 in the Mall of America so they wouldn't have to use harmful pesticides. They can eat all the harmful bugs that eat the plants. Ok anyway, We love ladybugs, called my daughter that for a long time. Love to win, Thanks for the chance. SOoo cute!! Thanks for the tutorial and the chance to win!